An Orem man sued after he was convicted, then acquitted, of killing his wife. A judge has dismissed claims against the prosecutor who first took the case to trial. Spencer Heaps | Pool Conrad Truman appears at the 4th District Court in Provo on Thursday, Oct. 9, 2014. Truman has been charged with murder and obstruction of justice in the 2012 death of his wife, Heidy Truman. 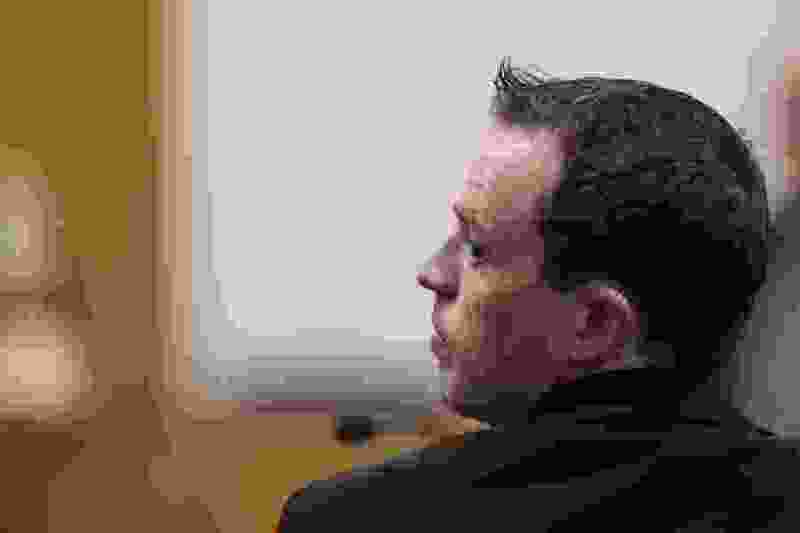 A federal judge has dismissed claims against prosecutors in a lawsuit filed last year by an Orem man who was convicted then later acquitted of his wife’s shooting death. Conrad Mark Truman alleged in the federal lawsuit that law enforcement used “misleading, false and outright fabricated” evidence to charge him with murder and keep him behind bars for nearly four years. Truman was convicted by a jury in 2014 of murder and obstruction of justice — despite his testimony that he didn’t shoot 25-year-old Heidy Truman inside their home. In 2016, a judge granted him a new trial, finding that jurors relied on incorrect measurements of the Truman home when rendering their verdict. Last February, a second jury acquitted Truman of the charges. He then sued Orem police and several officers, along with the Utah County attorney’s office and its prosecutor who took his case to trial the first time. “As a prosecutor, Mr. Johnson is entitled to absolute immunity for obtaining an arrest warrant, deciding whether to prosecute, deciding whether to disclose evidence, presenting evidence at trial, objecting to bail and release, and prosecuting the case a second time,” the judge wrote. Though the prosecutors have been dismissed from the lawsuit, claims are still pending against the Orem police department and its officers. Truman alleges in the lawsuit that Orem police officers unlawfully detained and interrogated him in the hours after his wife was shot in their home in 2012. His attorneys also claim police made false statements or omissions in order to get search warrants, and arrested him without probable cause. And once he was charged in Heidy Truman's death, the husband says his right to be free from unreasonable search and seizure were violated when he was "unreasonably" incarcerated for more than 3 1/2 years in both the Utah County jail and the state prison. Truman’s attorneys also claim that prosecutors presented a fabricated financial motive for killing his wife prior to trial, and presented incorrect measurements to the first jury. Where Heidy Truman was inside their home when she was shot, and how far she could have traveled after she was wounded before collapsing near a stairwell, were contentious points during the first trial. Truman’s attorneys argued that the incorrect measurements that were gathered by police could have led jurors to discredit Conrad Truman’s testimony in the first trial. He testified that his wife was shot in the hallway — but diagrams of the couple’s home presented to jurors would have shown that Heidy had to travel down a hallway that was 2 feet longer than it actually was before falling to the ground. Prosecutors had argued at trial that Conrad Truman’s inconsistent stories to police about what happened that night indicated that he killed the woman. His defense attorneys argued that the man’s statements were taken moments after the shooting while he was traumatized and panicked about his wife’s death. They argued that Heidy Truman shot herself.